Need to restore your vehicle? 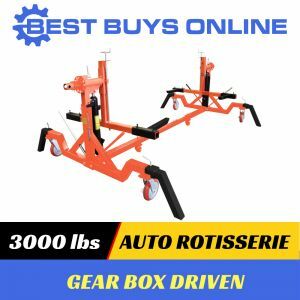 This rotisserie is a great asset when it comes to working on a car, small truck and even small boat bodies with ease. Move the car around easily to make your workshop more functional whilst working on the project. 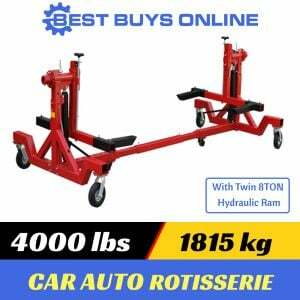 Features a 4500 lbs/ 2040 kg working capacity and a full 360 spin movement for easy access to any part of the car. 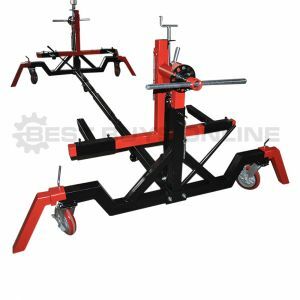 There are two hydraulic jacks to elevate the car to the required working height and solid phenolic castor wheels for easy maneauverability. Centre support extends to 18"